Stay at home and join in the fun! Our meeting is VIRTUAL. The ATD-OC President’s Book Club is open to non-members too! It’s a great way to learn more about ATD-OC and our wonderful members. Some come to talk, some to listen, all to experience the moment. What learning point matters to you most from the book? Where does the lesson apply in your current life? What is one action you will take as a result? 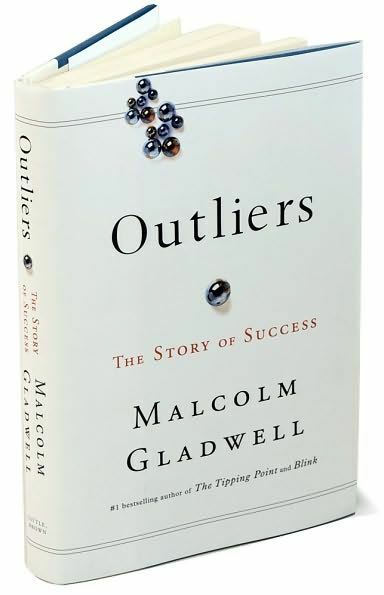 Over 1.6 Million copies of Outliers by Malcolm Gladwell have been sold since 2008. Malcolm Gladwell addresses the question ‘What makes high-achievers different?’ The answer is too much attention to what successful people are like, and too little attention to where they are from: their culture, family, generation, and idiosyncratic experiences of upbringing. He shares the secrets of software billionaires, ice hockey pros, why Asians from the Delta region of Southern China are good at math, and why the Beatles maybe the greatest rock band ever. Outliers is simultaneously delightful, illuminating, entertaining, and brilliant. Frequently asked question: What if I didn’t read the book or only read part of it? Answer: Join in anyway. We can be your live version of "CliffsNotes®" for learning. Why join a book club discussion? Read what John Coleman wrote in HBR. This meeting is open to members and non-members of ATD-OC. There is no fee for this program. Registration is limited to 42.